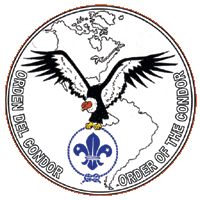 The Interamerican Region is the divisional office of the World Scout Bureau of the World Organization of the Scout Movement, headquartered in Santiago, Chile. The InterAmerican Region services Scouting in the Western Hemisphere, both North and South America. Until the 1960s, the Region serviced only Mexico, Central and South America, with Canada and the United States serviced through the then-named "Boy Scouts International Bureau" in Ottawa, Canada. 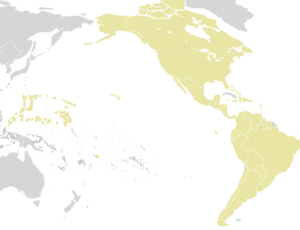 Even today, the Interamerican Region exists more for the benefit of countries south of the Rio Grande, as evidenced by the website being only in Spanish; consequently, the United States and Canada do not participate as vigorously in regional activities as do other national organizations around the world. The headquarters of the InterAmerican Region has moved progressively southward since its inception, starting in Havana, Cuba, from 1946 to 1960; moving briefly to Kingston, Jamaica, in 1960; immediately relocating to Mexico City, Mexico, between 1960 and 1968; then to San José, Costa Rica, between 1968 and 1992; most recently relocating to Santiago, Chile, from 1992 to the present. The InterAmerican Region contains one of the six countries with no Scouting organization, Cuba, due to political constraints within the country. This region is the counterpart of the Western Hemisphere Region of the World Association of Girl Guides and Girl Scouts (WAGGGS). The needs of Scout youth in unusual situations has created some interesting permutations, answerable directly to the World Scout Bureau. For years there was an active Boy Scouts of the United Nations with several troops at Parkway Village in New York City, with but 14 members in 1959. Also directly registered to the World Bureau were the 900 member Boy Scouts of the Panama Canal Zone. This page was last edited on 9 December 2012, at 10:20.